Most women who enjoy grinding at the tables and aspire to always improve and succeed in poker, have some personality traits in common. They're independent, self-confident, and most of all, they believe in themselves. At some point in their lives, they received the message that they can do anything they put their minds and efforts to, even if they have to step out of “traditional” gender roles to do so. They feel comfortable around men, get along with the nice ones, and can hold their own when it comes to standing up for themselves against misogyny when it rears its ugly head. They aren’t afraid to battle in a male-dominated field. In fact, many of them thrive there. Women still represent a very small percentage of poker players, and like any other progress, it’s slow to change. 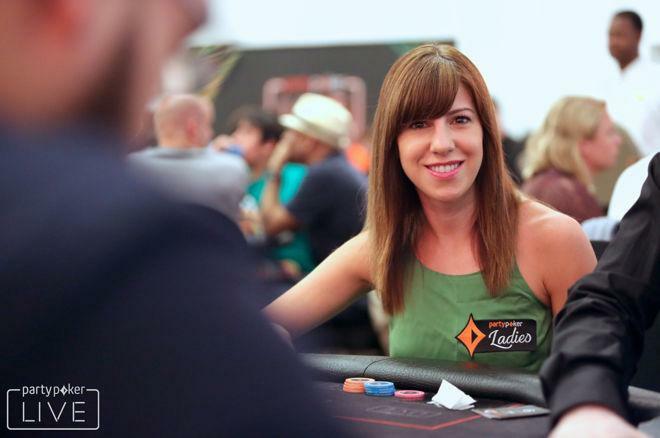 But women in poker have already come a very long way, and we increasingly see the ladies holding their own — and often thriving — in male-majority fields. "If you really want to make it in poker, you have to dedicate yourself and your life to it." Just in the past year, a couple notable milestones for the cause were Ema Zajmovic becoming the first female to win a WPT Main Event title in March 2017, and more recently, Maria Lampropulos as the first woman to win the prestigious PCA Main Event for more than $1 million — amazingly her second seven-figure score in less than a year. Just last month, two-time WSOP bracelet winner Loni Harwood won her fourth and fifth Circuit rings at two different stops within two weeks, defeating a laundry list of top pros on her way to victory in the $2,200 High Roller. As the number of ladies who feel comfortable playing at live tables continues to rise, more and more women are also making a career in the game that they love. Depending on the ranking system you go by, you’ll get a different list for top five female players. There are more strong female players now than ever, but most current lists would include 2017 Player of the Year Kristen Bicknell somewhere near the top. In addition to her $467,000 in online tournament earnings, Bicknell has amassed more than $1.25 million in live earnings, including two WSOP bracelets from the 2013 Ladies Event and the 2016 $1,500 Bounty. To earn the GPI Female POY honors, Bicknell strung together an impressive 28 live tournament cashes for a total of $551,906. That included a sixth-place finish in a $10K 6-Handed WSOP event, and win in a $5K WPT Five Diamond side event. To say she is deserving of the award, is an understatement. Bicknell got her first taste of poker at a small sit and go she was invited to play at during her first year of university. She credits friends and family for all the support she has received in pursuing a career in poker, especially friends in poker who were always there to help her, from talking hands to completing online transfers. Though her parents didn’t completely understand the poker thing at first, they soon came around. "From that night, I was pretty obsessed with the game." "When I first started playing, and would sometimes disappear on poker trips for days, my parents were concerned. But as they learned more about the game, they got supportive of me playing and I think they find it pretty exciting as well." The Canada native has no problem staying motivated to play for the time being, getting to do what she loves to do as a full-time job. "I really can't think of anything I'd rather be doing than competing in tournament after tournament. I have a really strong drive to do well, and I do put a good amount of pressure on myself to play my best, which helps me always be focused." Like many pros, Bicknell finds that focusing on her health, pays off at the tables. Even with keeping a pretty intense poker playing schedule, she feels she has a good balance in life. Most would attest to the fact that women can play good, aggressive poker. But when it comes to actually facing a female playing this style, they often express surprise, many choosing to vocalize it. Bicknell says this reaction has become a normal part of her live poker experience. On the flipside, some men less accustomed to playing with solid female players will try bluffs in spots where they likely would not make the same move against male opponents. Bicknell is familiar with that scenario. "I really can't think of anything I'd rather be doing than competing in tournament after tournament." Maybe that was just a player-specific behavior you could argue, sure, but I tend to believe that some men adjust their strategy when playing in a hand against a woman, and fortunately for us, that adjustment can sometimes go in a non-effective direction. “I think if you really enjoy the game and can embrace the struggle that comes with it, then go for it and give it your all. If you really want to make it in poker, you have to dedicate yourself and your life to it. It is not an easy thing to do half-heartedly. Set your sights high, don't let anyone stop you, and surround yourself with people who support your goals and visions!"